Someone blew up Park City Councilman Jim Hier’s mailbox on Friday, four days after what was apparently another attempt to destroy it, the Park City Police Department says, an unexpected and rare attack on a local elected official. 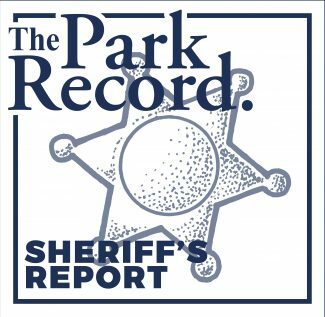 The investigators and Hier are unsure if the attacks are politically motivated and it is unclear if Hier, who lives on the 2500 block of Morning Sky Court, in Park Meadows, was targeted or if the mailbox was randomly picked. But the Police Department ordered a special watch on his house, with officers driving by six or seven times a day, a common precaution when the authorities or a homeowner suspect the possibility of vandalism. According to police records, the most recent attack occurred at about 9:30 p.m. on Friday and the prior one was reported at 4:06 p.m. on Monday, April 30. The mailbox was destroyed in the Friday night explosion. In the earlier case, the police say, the mailbox was damaged and a patch of grass, about 10 to 15 feet around the mailbox, was singed. The device apparently blew through the back of the mailbox and landed on the ground. About three weeks before, someone ran over Hier’s mailbox, the police say. "I don’t have a clue. I think somebody is mad at my mailbox," Hier says. Rick Ryan, a Police Department lieutenant, says neighbors told Hier after the May 4 attack they saw a bright flash of light when the metal mailbox exploded and the police were told a loud bang was heard in the neighborhood. Witnesses told the police they saw someone driving away just afterward but Ryan says they are unable to provide a description of the vehicle or a license-plate number. Ryan says the police suspect the same person is involved in the two cases. "The MO is pretty clear — explosive device in the same location," Ryan says. Ryan says police investigators believe a firework caused the explosion and they recovered remnants of what appears to be a firework. He does not provide details, though, and says the police suspect people can purchase the type of firework legally outside of Utah. "It has to be a large enough device to destroy a metal mailbox," Ryan says, describing that the police found parts of the mailbox as far as 30 feet away from where it stood. There was no mail inside the box. Ryan says the investigators interviewed Hier at least six times. He says the second-term City Councilman had not received threats before the attack. 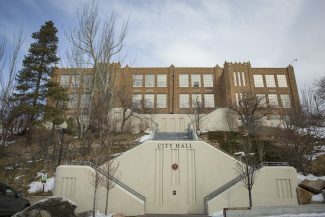 The attacks come as City Hall continues to enjoy widespread popularity, with just pockets of discontent in Park City. The city’s economy, meanwhile, is buzzing, people seem happy with City Hall’s progress on a diverse set of public-sector projects and Hier was easily re-elected in 2005. 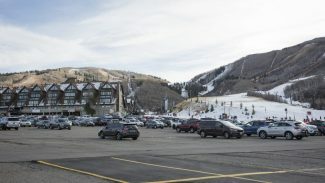 The City Council has not dealt with lots of polarizing issues in recent months, with a dispute, recently resolved, about locating a dog park on the edge of Park Meadows being of note. The elected officials started the annual budget talks last week but there has been little interest by regular Parkites. Hier, who served on the Planning Commission before winning a seat on the City Council, sells real estate and spent his career in the financial sector. 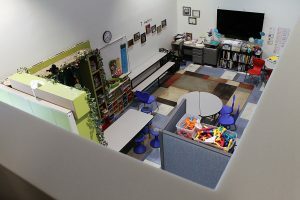 In 2002, Hier suggested affordable housing could be built on an approximately eight-acre site off Holiday Ranch Loop Road, where a sewer plant once stood. That statement, perhaps Hier’s most controversial, mobilized neighbors who complained that the land should not be developed. The idea did not advance. Mayor Dana Williams is perplexed, saying City Hall issues are not "enough to spur somebody to violence" and calling the cases "disconcerting." "Mailbox bashing is not unusual in this town but it’s usually not incendiary devices," Williams says, hoping that pranksters, not people trying to make a political statement, attacked the mailbox. "There’s a substantial amount of cowardness."